Happy Monday loves! I hope everyone had an amazing weekend! I really only did something on Saturday but I'm still tired today. Mondays are rough. And the weather is supposed to be gorgeous today so I'm really wishing I was outside enjoying it instead of stuck inside but oh well. I definitely wish I didn't have to be an adult some days but it could definitely be worse! Ok, enough complaining, let's link up with my girl, Biana, for our weekend recap. Like I said, Friday was pretty uneventful. I ran some errands after work for work (if that makes sense) then just went home and relaxed. I made cilantro lime chicken for dinner and it was amazing! I also enjoyed a glass of rose while watching Reign before heading to bed. Saturday me, Kerri and the boys went back my high school hometown of Melbourne for the Rocky Water Brew Fest. This is the second year of the festival and I have to admit, it was a huge success. Over 30 different local breweries plus some food trucks. I'm super proud of how successful this event was because one of my high school friends happens to be the organizer of the event. He also owns his own brewery so not only did he have a tent there but he also ran the show. Definitely impressive. After the festival we headed over to a restaurant on the river and sat outside and had a drink and some appetizers. Then we headed out beach side to sit by the water and enjoy the ocean for a bit. I got to see the bio luminescence for the first time ever which was pretty cool. We definitely stayed out way later than I planned but since I don't get over there very often it was ok.
Mondays are tough for sure, my weekend FLEW by and I'm wishing i had a bit more sleep this morning. Hopefully you can get outside at lunch [fingers crossed] to enjoy a lil bit of your gorgeous weather. 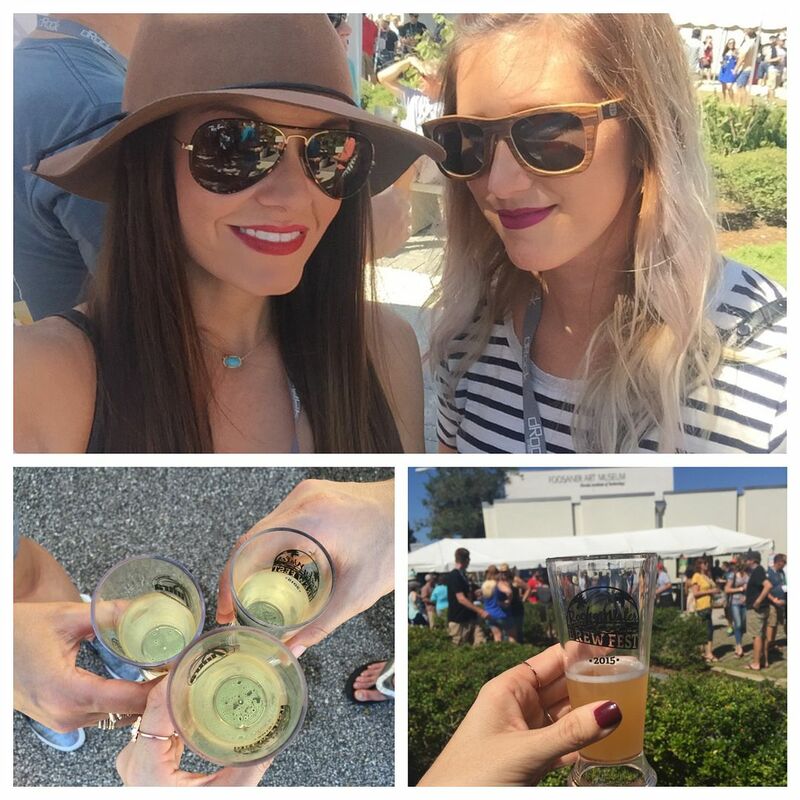 The Brew Fest looks like fun, and oh my goodness the food looked amazing!!! That sandwich tho! Yummmmy! Gotta love a good chill weekend, I had the same and it was really refreshing! OMG all of those brews sound amazing! I need that S'more one! I bet it was interesting! And is that mac and cheese with pulled pork?! That looks divine! I love IPA’s and that fruity pebbles one sounds so good! I’ll also take one of those grilled mac and cheese please! Yes to cilantro lime chicken, that looks delicious! Checking out the tortellini soup you linked, too! Festivals are my favorite and while I'm not a beer fan if I ever make it to Melbourne with my beer friends we'll definitely check it out. 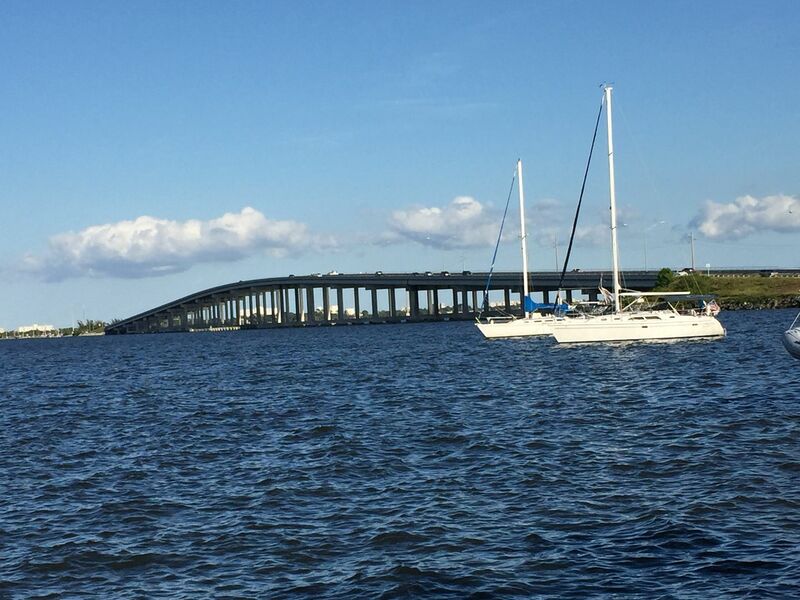 So many places in Florida I've heard of but haven't been to yet. Looks like a great weekend! So much delicious food! I need the chicken recipe! Is it from Pinterest? Purse hooks are the one thing I always look for at a bar and rarely find, so great job!! What the heck is that sandwich with mac & cheese??? I NEED THAT!! You and Kerri look gorg and it sounds like y'all had a great time! So much good food! Y'all look fab! Happy Monday - it's definitely a tired one for sure! 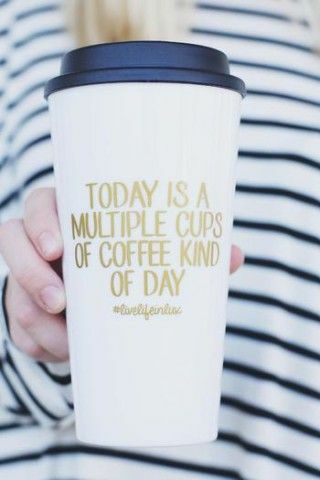 I'm the captain of the struggle bus this morning, too! Boo for Monday. I wish I liked beer more than I do so I could enjoy more beerfest instead of just bear and wine fests :) All these that you go to look like so much fun!! Ummmm that mac & cheese sandwich looks A-MAZING! What a gorgeous view from the beach! So jealous of your nice weather-it was 30 degrees this morning here! fab weekend for you! i went to octoberfest, which is kind of like a beer fest in a way, lol. yours sounds like a great event and kudos to your hs friend for success! ha i think it took me all day to recover yesterday. but it was all worth it. sitting on the beach at night was just perfection. wanted that to never end. and all the beer - so yummy! another great weekend for the books girl! love u! The brew fest looks like a blast!! We have a couple events like that here in Oklahoma and they are always so much fun. Plus who doesn't love food trucks?! Oh my gosh that grilled mac and cheese is unreal! That brewfest sounds like so much fun! And we can stop for a minute and just take in the awesomeness of that sandwich with the mac and cheese on it! It looks absolutely amazing! The brew fest sounds so fun!! I love trying local breweries and it would be so fun to have them all in one spot for an afternoon! What fun!! That mac & cheese sandwich looks so yummie. I'm a little jealous of the warm weather. Up here this morning it was 30 degrees and my car was covered in frost. Eep, winter is coming. Fun weekend! Melbourne looks beautiful - I haven't been since I was a kid. Let's talk about that amazing sandwich you took a picture of YUM!!! Looks like fun and OMG that sandwich - ahhh!!!! Amazing! And good for you for the purse hooks under the bar - I always dump mine on the floor and that's not ideal, lol. 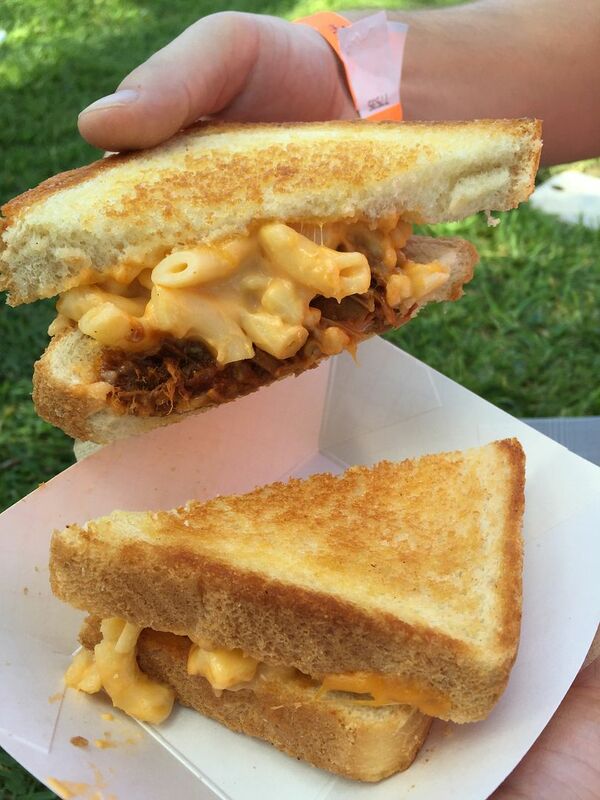 Is that a mac & cheese & bbq sandwich? If so, I am jealous! That looks so good! umm the mac and cheese on that sandwich has me drooling!!! 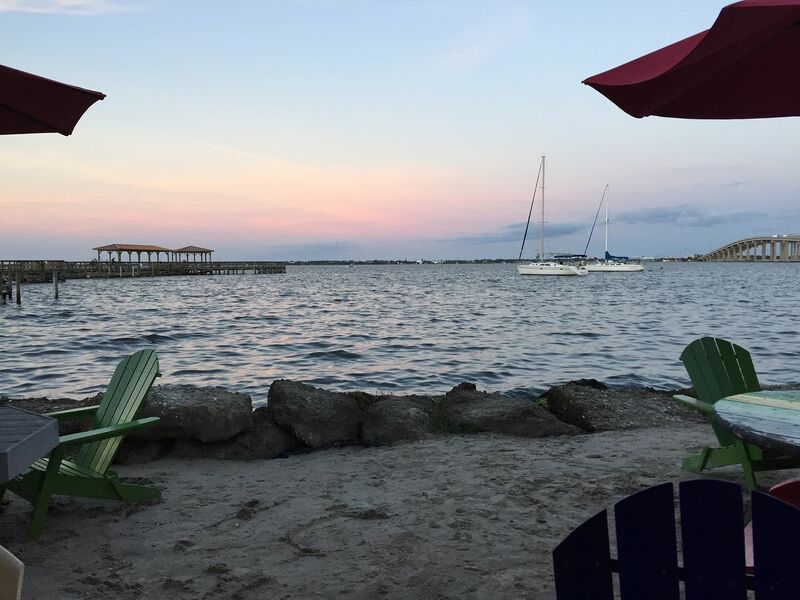 and what a gorgeous sunset..sounds like the perfect low key weekend! gimme that sandwich!!! My husband and I are always looking for new places to visit and this one definitely made the list! Thanks for sharing! I hear ya on the epic exhaustion today even with relaxing yesterday! How fun is that beer festival and that mac and cheese sandwich looks DELISH! I had trouble getting going this morning, too. Ugh. Seriously those views are stunning! Hmm... a S'mores stout?! I could get on board with that! Happy Monday, lady! um excuse me, that cilantro lime chicken looks AMAZING so tell me more. also, is that mac and cheese on a toasted sandwich? gimmie. so i thought you were just visiting Melbourne, but hometown? So cool! My bestie's husband was born there. We think it's funny because we were both born in Melbournes, just on opposite sides of the world. and handbag hooks need to be on every bar, everywhere! Fruity pebbles IPA, yes and yes! My cousin lives in Melbourne and I loved visiting the beach there, what brewery does your friend own? Happy Monday girl! What a fun event on Saturday and perfect weather this weekend! 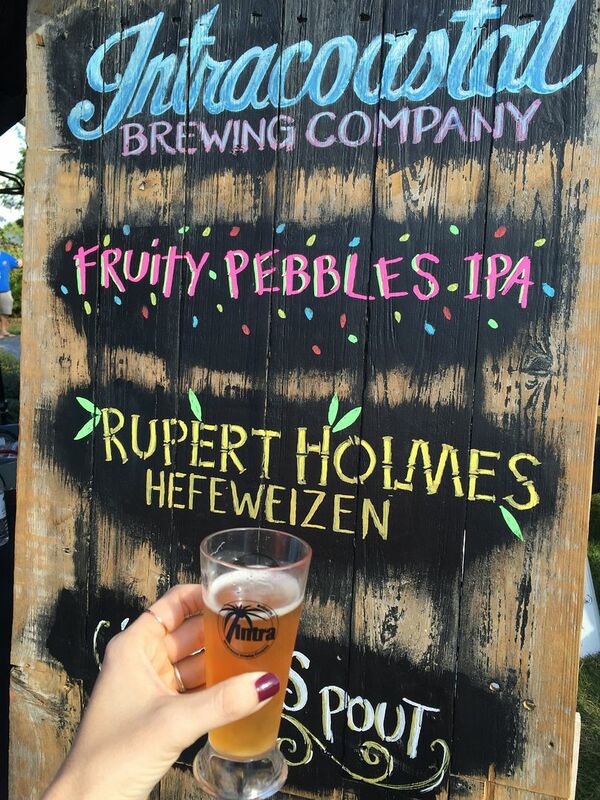 You two look gorgeous~ The fruity pebbles IPA sounds amazing and a Mac n cheese sandwich?! It's been forever since I've been to a good truck event. 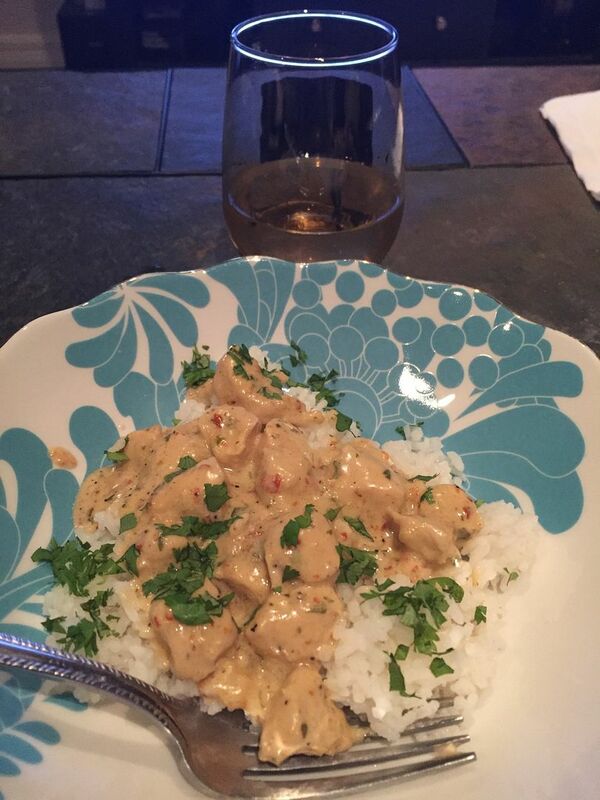 That cilantro chicken you made looks amazing! That brewery fest looks like fun-so neat that your friend from high school organized it! Oh man, between that chicken and the mac n cheese sandwich and your talk of tomato tortellini soup and smores beer.....I am starving and need a beer!! I love brewfests!! It is so fun to get to sample everything out there and go back for seconds (or forths) of your favorites. We grew up going to Melbourne all the time so it was fun to see this event! That sandwich looks ah-mazing and I'm most definitely starving now! Weekends with just one event and the rest low key resting are becoming my favorite! Best food weekend ever! I can't get over the good food you've taken pictures of. I wish Mondays were just another day in the weekend. I love reading your Monday posts! The food you post always makes me so hungry! A mac and cheese grilled cheese AND tortellini soup in one weekend? I'm coming to visit!!!! First off- will you send me the recipe for the cilantro chicken?! I actually have to cook this week (boooo! Cooking is the worst to get back into after having a baby!) and that sounds delish!! Sounds like a perfect weekend!! Hoping the week flies by because I'm already ready for the weekend again! Clearly it's almost lunch here because my eyes went straight to the cilantro lime chicken you made and the sandwich with the mac and cheese on it! Hahaha. Yum!